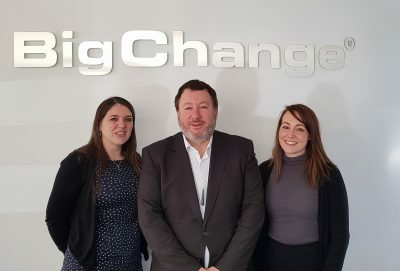 UK technology company BigChange has become international development organisation Transaid’s newest corporate member. It becomes the 35th company – ranging from vehicle manufacturers to some of the largest fleet operators – to commit to long-term support to the industry’s official charity. Martin Port, CEO and Founder of BigChange, says: “Social responsibility is at the heart of our business and we are staunch believers that our small change should help to make a big change in the world we live in. As a fast-growing enterprise that has developed game changing technology for transport and service operators focused around health and safety and operational improvement, we see it as our duty to share our expertise and resources to help communities both near and far to live safely, healthily and sustainably. BigChange showed great commitment to Transaid during 2017 through a number of donations and events, including bidding £13,000 as part of an auction for two industry expert ‘interns’ – former MAN CEO Des Evans and RHA Chief Executive Richard Burnett – to work for a day in the company. It also held a round table discussion for which £3,000 was donated to Transaid, and bought a bicycle ambulance at the Logistics Awards which went to the MAM project.